Special details, mementoes, and surprise events bring a very unique and special element to the wedding day. These details might be as tiny as a pair of heirloom pearl earrings or a ribbon from your mother’s wedding dress tied around your bouquet. In the craziness of the wedding day, how can you make sure your photographer captures all these special little details? Give your photographer a list! Your photographer wants to catch those details as much as you want them to be captured. But even though a brooch tucked into the bouquet should be fairly obvious (and therefore captured), there’s always a chance that your photographer might accidentally miss over it. 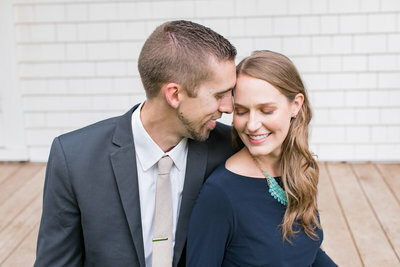 If you have a secret event planned, include that in your photographer’s list. Maybe you’re presenting your mother with a surprise rose as you walk down the aisle. Perhaps there’s a traditional a sorority sister song during the reception. Let your photographer know what you have planned! **Note: make sure you check out the What It Doesn’t Mean paragraph below! Give you photographer a list before the wedding with specific details that are really meaningful to you. Remember, your photographer might not realize that the knife you use to cut your cake is your great-grandmother’s. As you add details to your day, send them over to your photographer. We have a place on our wedding day questionnaire where our brides can list any specific details like this. Your photographer will be able to find a perfect position for any special events. He can be ready to grab the perfect angle and lighting so the moment is captured in its very best. If you’re starting to panic as you think about all the wedding day details you want your photographer to capture, you can relax! What this doesn’t mean is sending your photographer a 4 page list of every detail and moment you want captured on camera. A professional photographer knows to take a picture of the bouquet, the shoes, the rings, the bridal party, the kiss, etc, etc. What I’m talking about isn’t the nitty gritty of every picture. It’s a small list of very special and meaningful things that you’ve incorporated into your wedding day to make it uniquely yours. Most of the time, these details include things like heirloom jewelry or other small items that you’ve woven into your day. Did you incorporate any extra special details or events into your wedding day? Share them with our other readers in the comments below! Looking for more wedding planning tips? Find out what to expect at your wedding dress consultation or get these 5 tips for avoiding overheated wedding guests if you’re planning a summer wedding. Looking for creative ideas to entertain your guests at the reception? Download your own free copy of our eBook here!